VINTAGE FISHING TACKLE, any PW member use ?? A 2 to 4 oz Hardy Longbow a little over the 50 years. Fortunately, I've never needed long distance casting - fortunately because I've had a back injury which is older than the rod and which prevents me putting the proverbial back into it. What I do like though is for the hook and the bait to arrive in the same place at the same time and the action of this rod ensures that that is the case - well most of the time anyway. Digressing a bit but as it's just the two of us no one will be any the wiser. Went to Crewkerne yesterday as some visiting family members wanted to visit a particular outlet - Antigues Bazaar or some-such. Found 2 cracking fly reels, one Hardy and one Orvis both in superb condition. Trouble is, by then I was wheeling and dealing for a 1680 map of Leicestershire by Jan Jansson (got it) and a horn handled carving set by Jublim of Solingen (which I also got). There was also a very nice wooden gun cabinet and also an antique pine French gun (motor?) case. Bit suspicious the case though as we went to another antique outlet in the town and virtually the same box (just different catches) was there holding a croquet set! If I was a tad more local, I'd go back and have a look at the two reels especially the Hardy as it looked pristine. hello, thats ok to digress ? I don't use them myself but I have an elderly neighbour who has a huge collection of old cane rods. He asked me if I could set up a new telly for him and I was amazed when I went into his house, it was a cross between a bomb site and a treasure trove - you could hardly move for trinkets and antiques of all shapes and sizes. In one room alone there must've been at least 50 split cane rods, all in original bags. After sorting the tv out I asked if I could take a look and we spent a good hour taking a few out of their bags, they were mostly in immaculate condition and probably hadn't (and probably won't again) seen the light of day for donkeys. It was really great to see them, but it was also a shame to know they will just sit there. When I left, he offered me money for sorting the tv out, which I declined, I did half jokingly (with my fingers crossed) suggest I'd take a hardy as payment - his response was a wink and a smile which was probably a the firmest most definite sod off I've ever been told. Try a 26lb mirror hooked in the tail on a 1 1/4 Avon and pin. Landed it though. £1 and 10s. I find something romantic about predecimal currency. 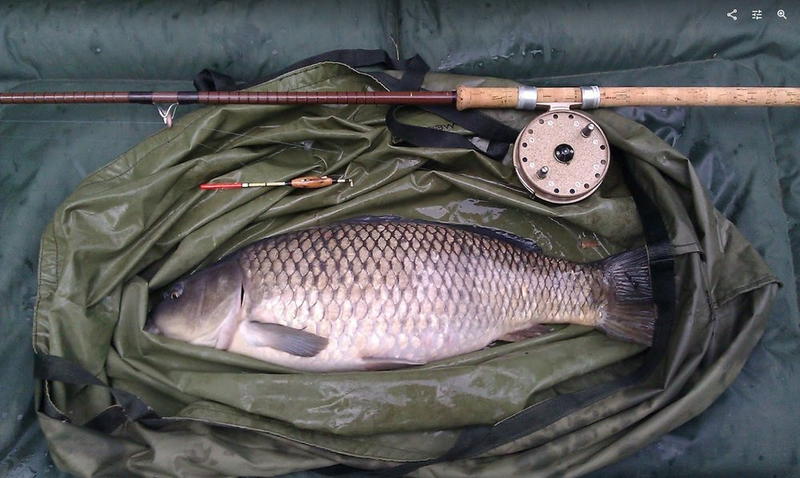 I've got an old Hardy rod which I'm looking to match up with a reel - Regrettably, the rods can be had for pennies, but the reels seem to hold well above their value - Especially annoying when I rarely play a fish on the reel. Hi Simon I spent a lot of my time in my pre and early teen years looking through the window of Forrest and Sons at 35 Market Square in Kelso. The then proprietor Drew Porteous was a nephew of the last Forrest in the business and was patience itself with juvenile anglers buying a few yards of nylon and a dozen worm hooks. I have before me a Forrest catalogue with 1921 hand written on the cover. Some prices from the same. The Grosvenor split cane salmon fly rod 17ft 3 piece £18 ,Greenheart Salmon fly rod 19ft £8 " 15s , The Hanover split cane dry fly rod 10 ft 6 inch £9 GrEenheart spinning rod 9ft £5 " 2s.. Forrest and |Sons had a reputation for quality tackle as far as I can discern. Sadly the firm is long gone after a spell as a branch of John Dickson and through several independent owners since. 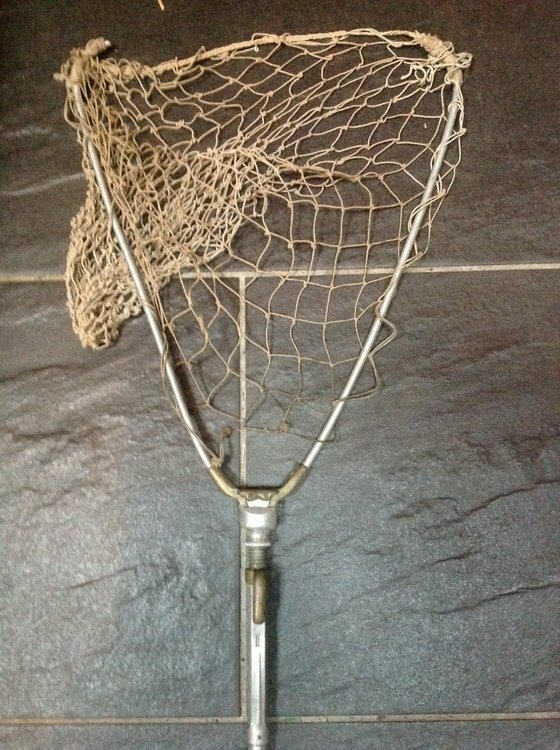 I have an old Hardy landing net , would be interested if it's worth anyhthing .